When Ryan Clements joined the Calgary office of Blake Cassels & Graydon LLP as an articling student, it represented a step into the unknown for members of the Clements clan. “I was the first in my family to be employed,” Clements says. As the latest in a line of entrepreneurs, he spent his spare time through high school, university and law school helping out in various family enterprises. “Startups are in my blood,” Clements says. And after his brief foray into the world of gainful employment, it wasn’t long before the genetic instincts kicked in: Immediately after completing his articling term in the spring of 2009, Clements left to start his own law firm. A sabbatical followed in 2012 so that he and his wife could run the distribution and marketing business they co-founded several years earlier. So when Clements decided to return to the practice of law, there was only one focus he would consider. Clements now practises out of Kahane Law Office in Calgary, but he still manages to cram in a gig as an adjunct professor at the University of Calgary teaching a course in “Entrepreneurial Law,” and he says there is more demand than ever for startup legal advice. Law firms across the country seem to have picked up on the same pattern, with outfits of varying sizes, both regional and national, putting together practice groups and special packages aimed specifically at serving startup clients. Technology lawyer Brock Smith was there for the last tech startup gold rush in the late 1990s, acting mainly for venture capitalists pumping money into new businesses. Now as a partner with entrepreneur-focused Whiteboard Law in Vancouver, he’s on the other side of transactions, advising founders attempting to secure their first rounds of financing. Marshall Pawar, the founding partner at Vancouver’s MEP Business Counsel, says firms should think long and hard before jumping on the startup bandwagon. “If you’re just getting into it because it’s the trendy thing to do, it’s maybe not something you should be involved in,” he says. “There’s a big difference between working with businesses in the early stage of their development compared with large established ones. You need to be interested in the area, because it involves a lot of compromise and can be quite challenging. In any case, founders can smell a faker a mile off, says Jayesh Parmar, the CEO and co-founder of Picatic, an online ticket-selling platform based in Vancouver. He remembers getting a presentation from a law firm promoting a $5,000 package of free legal services as part of an accelerator program for promising tech startups. “It was like oil mixing with water. They were trying to come into our world with this loss leader to get us onboard. But it came with all these hooks and caveats: ‘You can’t use this here; you can only use this in that situation,’” Parmar says. Like any good Canadian, Parmar turns to hockey for an analogy that explains the key differences between the two types of lawyer startups will encounter: the coach and the general manager. Parmar says he was seduced by his current counsel, LaBarge Weinstein LLP, when it delivered a care package that included a Pez dispenser to participants part-way through the same program. “It seems like such a trivial thing, but the timing of it was perfect. Accelerators are hard work, so feeling like you have someone there with you who gets what you’re going through goes a long way,” he says. 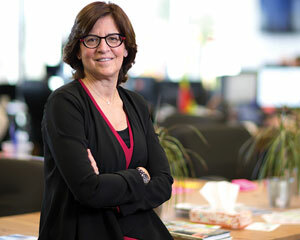 LaBarge Weinstein co-founder Deborah Weinstein says the 21-lawyer firm, which has offices in Ottawa, Vancouver and Toronto, has developed a specialty in unorthodox advertising opportunities at incubator and tech events where its target market gathers. “We’re tactical with where we spend money. We won’t go head to head with the big sponsors, but maybe we will provide the beer at the after-party. People remember that,” she says. Rebecca Kacaba is a partner in the startups group at Dentons Canada LLP in Toronto and runs a blog aimed at local entrepreneurs. Despite the high-tech focus of her clientele, she relies on a decidedly old-school source of new business: word of mouth. While technology startups are one focus for Prairies heavyweight McKercher LLP, Christopher Masich, a lawyer with the firm’s entrepreneur law practice group in Saskatoon, says they have spread the net wider to account for the realities of the regional resource-based economy. Masich says that government support for entrepreneurism at the provincial and federal level has created numerous “choke points” in the system for new companies, regardless of their line of business, including government resource centres, industry liaison offices at universities aiming to commercialize academic research and early-stage financiers. That’s where McKercher tries to target the marketing budget for his practice group, he says. According to Smith, there is no substitute for direct contact when it comes to startup firms. He pays regular visits to Launch Academy, a Vancouver startup hub, doling out free advice in half-hour sessions to anyone who wanders by. The other benefit of immersion in the startup scene is that it gives lawyers a chance to size up potential clients. Before joining Osler Hoskin and Harcourt LLP and founding the firm’s emerging companies practice group, Chad Bayne had a previous career as a computer engineering grad and software designer for Ottawa telecommunications company Newbridge Networks. That background not only gives his credibility a boost with clients, it also allows him to make better judgments on their long-term viability. At Stewart McKelvey LLP, Adam Bata says lawyers in the field need to increase their tolerance for failing clients, comparing his work with startups at the firm’s Halifax office to that of a movie producer. Stewart McKelvey isn’t the only Maritimes firm willing to “kiss a few frogs” in the hopes of finding a startup prince, says Sandra Goodwin, managing director of client development and service at McInnes Cooper LLP. The firm is a major sponsor of Volta, a four-year-old hub for entrepreneurs in a variety of sectors, and every week sends one of its lawyers to run open office hours at Volta’s Halifax office. McInnes Cooper runs a “BIG potential” program for companies that can demonstrate “business innovation and growth.” For startups that make the grade, the program is designed to guide them through the first two years of their existence with a combination of fixed fees and cut rates in the areas of intellectual property, tax advice, employment law and others, tailored to individual companies. The firm is also in the process of developing Legal Ninja, a subscription tool for entrepreneurs who want to create and manage their own legal documents using templates and guidance from the lawyers. Modelled on tax software that takes customers through their annual return, Goodwin says the hope is clients will eventually be able to use fillable forms to create documents including employment contracts and non-disclosure agreements. “Then if you have a problem answering a question, it’s designed so that you can call or text a lawyer for help,” she says. Jack Newton, the co-founder of Clio, a cloud-based practice management tool for lawyers, says law firms who want to attract startup clients need to show a willingness to embrace new ways of doing business. Despite running a business aimed at the legal profession, he and his co-founder were initially outsiders to the legal world and struggled to find a lawyer that could match up to their standards. “Law firms need to think about how to shift from the old service delivery model to a new one that makes it as effortless as possible for the clients,” he says. That’s particularly true of millennials, the generation that has produced a large proportion of recent startup founders, according to Newton. “Your millennial founder does not care about a law firm’s fancy downtown offices and certainly does not want to come there to see you. They probably want to talk over Google Hangouts or Facetime from the comfort of their own office, and they don’t want to fret about whether you’re on the meter every time you talk,” he says. At Kahane Law, Clements makes liberal use of flat rates for startup clients in an effort to ease the chronic cash shortages that almost all new businesses share in their early days. The firm offers a 12-month startup kit to clients priced at $2,599, which includes an hour-long initial meeting, plus a further 30 minutes in consultations per month, as well as incorporation, share issuance and other discounts. Pawar is more of a fixed-rate skeptic, preferring to put together a customized fee structure depending on the client’s individual situation. “I understand the rationale, but it’s the one-size-fits all part that I’m not comfortable with,” he says. Pawar says it’s still possible to achieve budget certainty with a cost estimate based on a thorough assessment of the startup’s needs. The firm will regularly defer fees or legal matters, depending on the urgency. Weinstein says IP issues are often first on the agenda for her clients. “If they come to us after working in their basement, they don’t necessarily have any money, but they have one very valuable asset: their intellectual property. And many times, they won’t have any agreements to protect it,” she says. Pretty soon afterwards, company organization and share ownership questions tend to bubble up, according to Weinstein. Weinstein says the firm is prepared to defer fees for months and even years while companies find their feet, and when they do send a bill, they don’t do much chasing. “We’re fairly relaxed about getting paid in the early going,” she says. In fact, the firm runs on the assumption that some never will pay for services. Parmar says founders value that kind of commitment, and he says he’s still usually the one chasing up legal bills internally to make sure they’re paid. Smith says part of the reason he left a larger full-service firm was so that he wouldn’t have to justify his client choices to the rest of his partners. At his previous firm, one client spent years on the finance department’s blacklist for late or non-payment of bills. At Oslers, Bayne says his firm is unique among Bay Street giants for its willingness to play the long game on his clients. He worked closely with Toronto partner Geoff Taber to create the emerging companies practice group in the late 2000s with a view to getting ahead of the next startup wave following the global financial crisis. Bayne likes to think of the group’s clients as a single entity, with short-term losses kept to a minimum until the big success stories start to pay for the rest. The watershed moment came in 2013 when Vancouver-based client Hootsuite, a social media management platform, raised $165 million in a Series B financing round, according to Bayne, who says several more clients are now reaching escape velocity. However, the firm suffered a tragic setback in December when Taber was killed along with his wife and two children in a fire at the family’s brand new cottage near Peterborough, Ont. One area where larger firms hold an advantage over smaller rivals becomes clear when startups enter the next stage of their development and their legal needs begin to change. Silvia de Sousa, a partner at Thompson Dorfman Sweatman LLP in Winnipeg, says the firm’s full service offering and lawyer count, which stands at close to 100, makes for a seamless transition when her startup clients require advice that strays outside her expertise. “The person next door to me does tax law; or if they have labour and employment issues, I can talk to my partner down the hall,” she says. At London, Ont.-based Siskinds LLP, Curtis Cleaver spearheaded the development of a $3,500 legal package for startups. Though the margins are thin, he says the full-service firm is the ideal size for successful clients to grow into. “I’m hoping they stay with me for 30 years, right through rounds of financing, to IPO, merger or just the operation of a profitable company. Whatever their exit strategy, the idea is to give them a break now so they can go on and be successful,” Cleaver says. But success brings a new problem: competition. Jamie Jurczak, a partner with Taylor McCaffrey LLP in Winnipeg, says that’s an everyday part of the life of a lawyer, whatever kind of clients you have. “There has always been competition and there always will be,” she says. “All you can do is offer exemplary service and hope that they see the value of carrying on with counsel that has been there since the beginning,” she says. Pawar says he’s not afraid to refer clients out for certain types of work, and he takes a philosophical approach when they move on altogether. “At the end of the day, if they feel like we’re not the right fit, that’s fine. It’s important not to stand in the way of a client’s needs, and if that means moving to another shop, there are no hard feelings,” he says. Things are particularly dangerous for Kacaba in Toronto, where competition is fierce for fully developed businesses. Luckily for Kacaba, startups are endlessly fascinating, and after a setback, she gets straight back out there. “Sometimes, when you do work for a bigger company, you can feel a bit like a cog in the wheel. You never feel like that with founders,” she says.